The entry fee includes exceptional ice art, poncho and gloves to keep you warm and a signature drink served in a glass made of ice. Non-alcoholic alternatives are always available, and children are served a colourful kid’s drink. We recommend that you book your visit ahead in order to secure your visit. The hottest place to cool down – 45 minutes of Magic Ice experience! Don’t forget to hold on to your ice glass after that first drink – a refill drink in the same glass is only NOK 99 for cocktails and NOK 70 for our signature drink made of Arctic Crowberry. Includes Entry to Ice Attraction, Gloves, Winter Poncho and our signature drink of Arctic Crowberry. Includes Entry to Ice Attraction, Gloves, Winter Poncho and our signature drink (Non-alcoholic for kids). Magic Ice is an experience for all ages and highly recommended as a family activity, but you must be 18 or over to book. Under 18’s are more than welcome when accompanied by an adult. Please be on time to make the most of your visit. Tickets are nonrefundable, but the time and/or date of your booking can be changed up to 48 hours prior to your visit. We can only hold your reservation for 10 minutes if we don’t hear from you. Did you forget to book? No worries. Drop-in is possible subject to availability. Welcome into this magical world and enjoy the hottest place to cool down! We always recommend that you pre-book your visit, in particular if you want to visit us in the earlier hours of the evening. On cruise ship days we recommend that you book your Magic Ice visit onboard the ship to be guaranteed space. Subject to availability, we welcome drop-ins every day of the week. 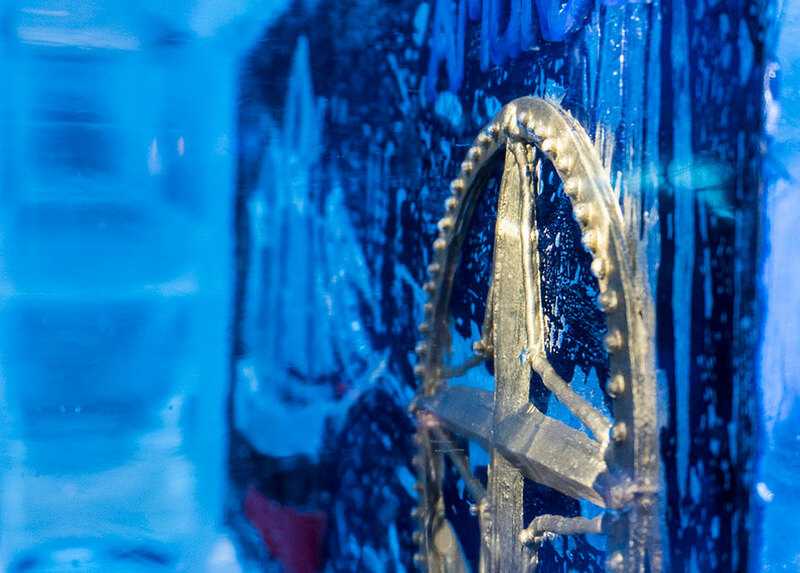 The entrance to Magic Ice always includes exceptional ice art, poncho and gloves to wear inside and a signature drink served in a glass made of ice. Non-alcoholic beverages are always available, and children are served a colourful kid’s drink. Drop in all the days of the week, subject to availability. Pay onsite. You must be 18 or over to visit MAGIC ICE, but under 18’s are welcome when accompanied by an adult.